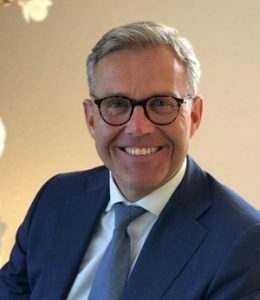 BIR President Ranjit Baxi has appointed Henk Alssema, Chairman of Vita Plastics in the Netherlands, as new Chairman of the BIR Plastics Committee. Mr Alssema has been active in plastics recycling since 1994, successfully starting up a number of plastics recycling companies and restructuring a public listed company as their CEO. He is currently Chairman of Vita Plastics where he is focused on developing a completely new vision in the area of the circular economy that is centered on multiple value creation. Vita Plastics is a supplier of regrinds, regranulate and compounds, and contributes to a sustainable society by focusing on the ecological and economic motives. An extensive network of suppliers provides VITA Plastics with post-consumer and post-industrial plastic waste, which is recycled into standard or customer-specific materials under their own management. Mr Alssema is looking forward to making a passionate, enthusiastic and positive contribution to BIR.